Sometimes, the best accessory to a good hunt is a good decoy. Whether you want to imitate the animal you are hunting or create a decoy of its prey, decoys can be the best hunting partner you’ve ever had. At GrabAGun, you will be able to find all of the decoys and accessories you need for your next hunting trip. 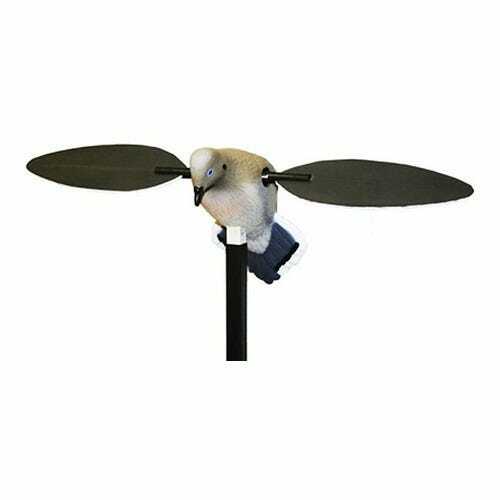 Make your decoy diversions successful with something from our inventory. Some of the best decoys are the life-size models. Flambeau has a variety of animals including the coyote and hen. A wild variety of game birds are available on the Dokken line of products as well. The real features of the animal are captured to perfection, even fooling some humans into believing the decoys are the real thing. Extreme Dimension Wildlife Creek also offers a phantom decoy deer that moves; an addition of realism you can’t find just anywhere. In addition to the life size model decoys, GrabAGun offers a range of games calls to replicate the sounds of your targets. From duck calls to a dying moose, imitating animal noises is a known way to attract the game you are hunting. Primos Game Calls even offers a book on how to perfect the art of animal calling to make your calls seems as realistic as possible. For those who want an extreme advantage, there are speaker systems available to simulate animal noises for you. So for your next hunting expedition, don’t look for the partner with the great hunting gadgets. Use your own and deploy the partner that will more than likely bag your next kill. Get a decoy from GrabAGun to ensure you have the highest odds of a successful hunt.